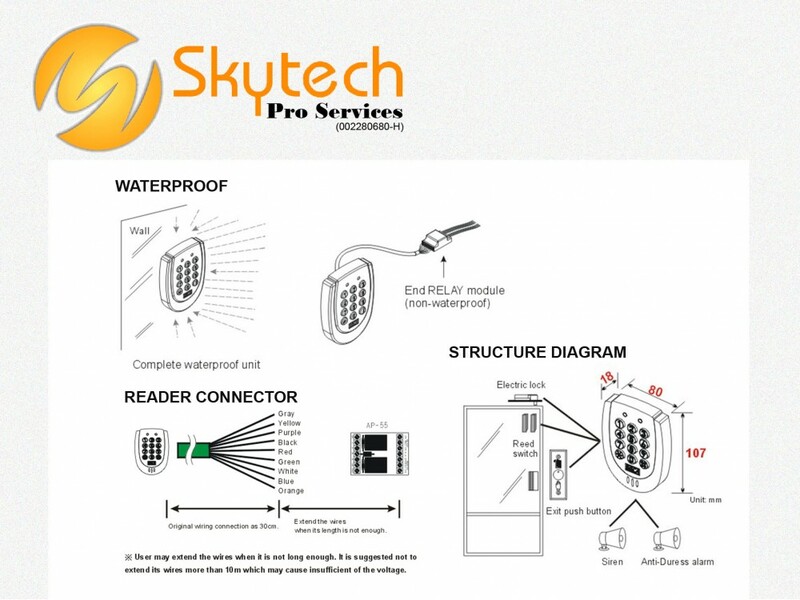 · Waterproof stand-alone proximity access control reader. Sealed casing design with no screws visible. 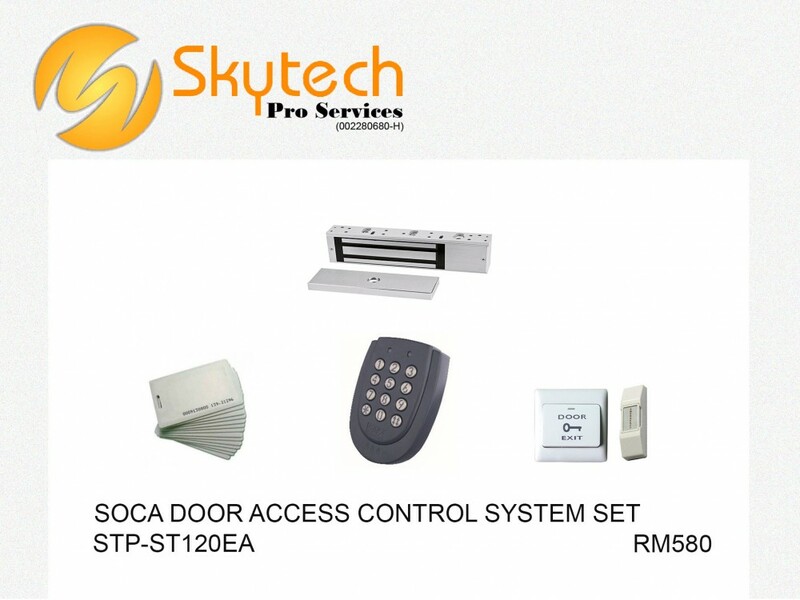 · Incorporate with security system to set or disable. A set of indicator light (Yellow) is available for user to set. · Tamper switch available. Alarm will be activated when it is being tampered with force. · Dual-color LED indicator light and Beep sound to indicate its current and proximity functions. · Polycarbonate fireproof material for casing (white or dark-gray). · Two sets of RELAY for door open and alarm. · 8 sets of door opening passwords available for user to set. · Duress code installation. If user is being held as hostage, specific password can be entered and help signal will be dispatched immediately. · Single (proximity or card number entry) or batch registration. · Delete One Card or delete all. · Door closing time (01-98 seconds) available for user to set. 99 seconds as normal state (for security system). 00 second as door open (0.5seconds) time for automatic door or instant trigger. · Five door opening methods: Password, proximity card, proximity card plus password, password or proximity card, special system password door opening. · 1,000cards capacity, 6-digit card number. · Maximum proximity distance: 10cm(125KHz), 5cm(13.56MHz) (depending on types of card). · Operation temperature: 0~60℃; Humidity: 85%Rh max. · Dimensions: 107 (L) x 80 (W) x 18 (H) (mm).